Providing the motorist with a welcome feeling of arriving at a desert oasis. 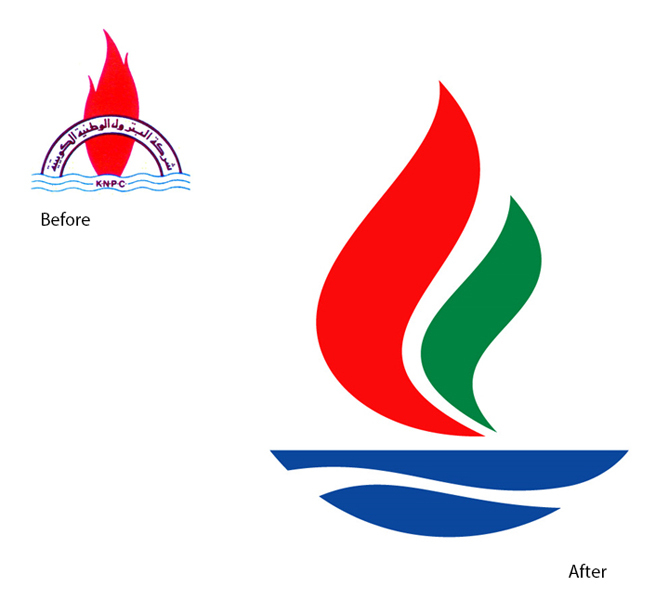 The old identity just spoke of a state run oil company and contained no reference to the all-important end user, their needs and aspirations, nor some of the softer sides of KNPC's mission statement such as environmental friendliness. 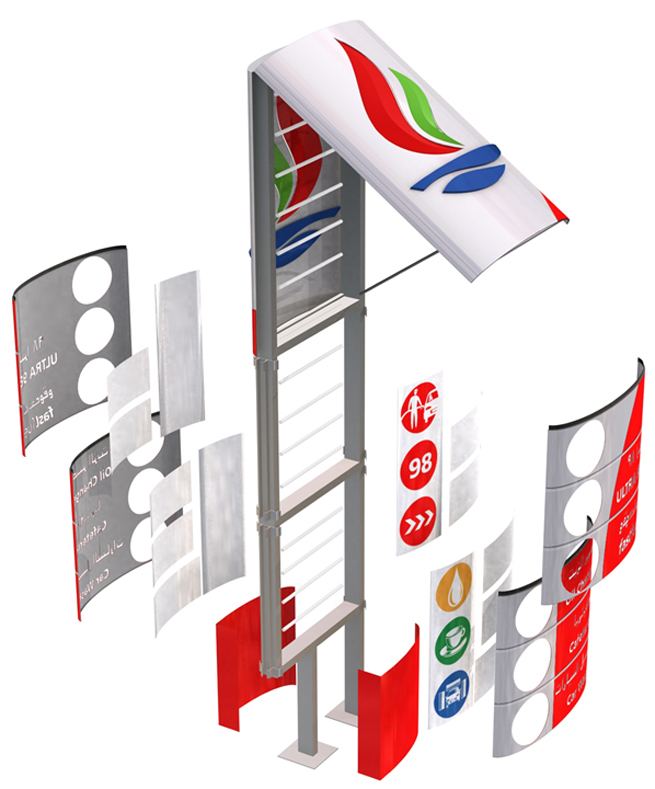 In 2003, as part of an identity change program, Minale Tattersfield was commissioned to create a complete new state of the art standard for petrol stations including a convenience store with café. An environmental feel was chosen, giving the motorist the feeling of arriving at a desert oasis. The brief was originally written by engineers, rather than a marketing team, and didn't specifically say there was to be a new identity with the rebuilt stations. Minale Tattersfield had to explain that the identity can express so many things. The scope of works was subsequently revised to include the redesign of the petrochemical group's visual identity, as well as all aspects of its station forecourt design and five sets of detailed manuals, covering: design, branding, architecture, engineering and mechanical guidelines. We investigated both radical and conservative change to the identity but concluded there was an advantage in retaining some reference to the old identity since it was such a well-known and respected company. So while the flame was retained, a green flame / leaf was incorporated to signify environmental awareness and that petrol stations were not just about fuel but also about the food offer. Minale Tattersfield also produced site layouts for KNPC's attended services and self-service applications. It ran the project from its existing office in Kuwait City. 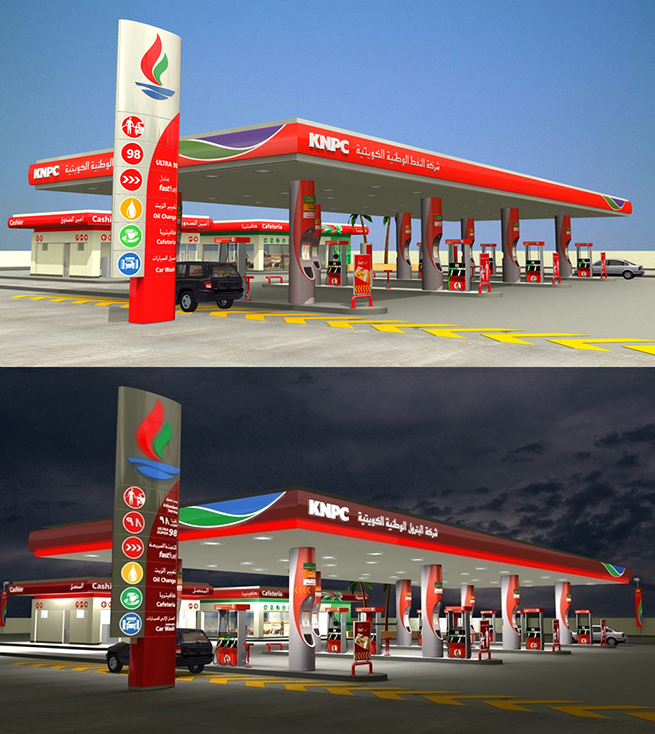 KNPC stations now take a more customer-oriented approach, introducing a suite of sub-brands that includes convenience stores, car washes and lubrication services. These specially branded services generate greater profits from each station. The focus has shifted from the previous notion of a short-stay 'oil depot', to somewhere where customers are encouraged to stay. Since the privatisation of the network, these sub-offers are a vital profit stream.